Even in the middle of the Bay Area it is amazing how easily one can get away from it all. 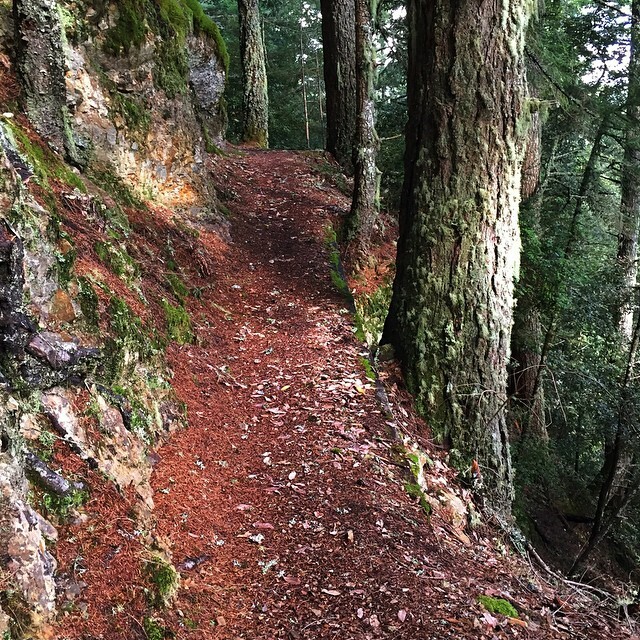 One of the hidden gems of the Mid Peninsula Open Space District is this trail through the redwoods to the top of Bald Knob, a wooded summit off Tunitas Creek Road. When I visited I was keen to try out the new ‪#‎iPhone6‬ camera with improved closeups and better focus control. Using “The camera I have with me” is an important part of this project, but it’s always a help when the technology improves. So far I have not been disappointed. Of all the summits I think this was the quietest so far, no auto noise, no airplanes, not even any wind, just silence…..